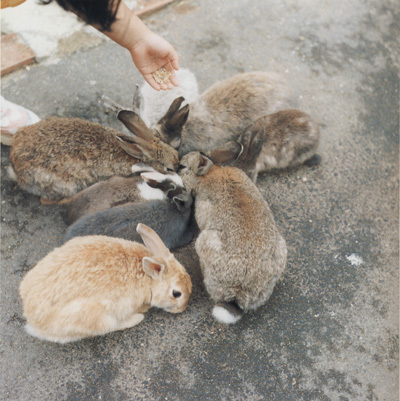 Her photographs are almost always square, but Rinko Kawauchi makes me think of circles. They say that newborns see the world upside down. I wonder if it sort of looks like Kawauchi’s world. The soft focus is a pictorial convention similar to that of the blur. The viewer may get a sense of these images as ethereal visions from a dream while the earth toned palette of the photographer’s eye suggests a firm grasp on nature. I love the etheral and dream like qualities of her photos. These are beautiful photos. Thank you for sharing them – I really love how the square format contributes to their dreamlike quality. 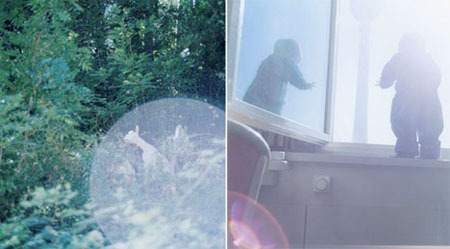 Thanks, Alec, I didn’t know Rinko Kawauchi work at all. Also, I am loving circle week. Thanks Zoe, but I think you mean ‘Circles n’ Bunnies’ week. ….and the 1972 born Rinko is really a “Photobook-Queen” ! She did in the last years 12 books ! The book Cui Cui ( means a cats miau miau) , she told me ,is a kind of album for her daughter, made when she was pregnant with her baby and you can see how she used the eyes from a child-perspective for her perspective on the double-eye Rolleiflex .What a great book-concept.A bit book history ala Japan. The book UTATANE has been sold in Japan in several edition over the last 6 years: around 60.000 – sixty-thousand copies. WOW! 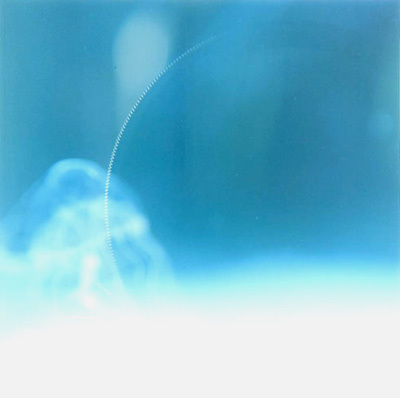 Rinko Kawauchi has just announced a new book on Foil’s website titled “Semear”. It is a series of photos of the Japanese community in Brazil. Looks like it’s going to be yet another amazing book from this prolific photographer. Not trying to be facetious here, but do they actually buy photography books in Japan, so much so that they’re actually profitable, and this photographer could actually live off them? Or is there some other monetary situation at work here? Other than an Anne Geddes or something in that category, I’ve never heard of a young photographer with that many published books. Has she somehow tapped into a nerve that appeals to mass market in Japan? Her images make me smile, and a soothing in a way. Nice work. It’s just that, you see somewhat similar work as this in many places on the web, but truth be told, many times they’re not even photographers, let alone publishing multiple books. Would be interesting to know about this. Interesting to see such “naivete” in personal view of the world, also mixed with multiple book deals. Yes, there is “some other monetary situation” in Japan, not to say that the ‘photography as art’ scene has a very different structure compared to the West. There is no real market for prints, even there are dozens of photography galleries in Japan. That’s what Japanese photographers tell me when I meet them in Tokyo. Almost all Japanese photographers I know earn their living with editorial work or teach at photography schools. In my opinion Japanese books are often more experimental, radical and/or playful than produced by Western photographers (failures included). PS: And yes, the books are bought in Japan, and some of them, like Rinko Kawauchi’s books, not only by people from the photography scene. Something really gentle about this work, using the repetitive format also gives it a comforting reliability too. I love the idea of creating a safe and interesting visual world for someone! Delighted that your blog has finally got round to things Japanese, and where better to start than Rinko. Her work is infuriatingly simple and yet so complex and dream like at the same time. Japanese photographers are prolific book makers and continue to push what is possible in terms of narrative, design and complexity. We would all be richer if this remarkable secret of contemporary practise was better known and understood in the (rather conservative) West. As Ferdinand correctly points out there is little market for selling contemporary prints in Japan, so the book become THE format. This to me is a very healthy state of affairs, as Tokyo is the best photo book buying market in the world. How are photo books priced in Japan? In the US they are quite expensive compared to fiction books. i really enjoy the soft colors and light in these pictures. None of Rinko’s books cost more than $35 when bought in Japan, and a few of them are less than $20. I found those prices to be typical for photo books published in Japan. Tokyo has an unbelievable number of photo book stores, probably more than any other city in the world. And many of them have not only all the Japanese photo books we might never see anywhere else, but also a thorough selection of international books as well. As a previous poster mentioned, photography books are the most used medium for getting photographers work sold. Therefore the pricing is relatively less expensive than in other countries, the selection is much broader and the quality of printing quite high. There is also an amazing selection of monthly photographay magazines and mooks (half book/half magazines). Some of these magazine are incredibly selective about their intended audience (i.e. one magazine is devoted to retired people just starting out in digital photography). The three main monthly magazines (Asahi, Nippon and Japan Photo Contest) come in at around $7.50 for nearly 200 pages of excellent photographs from names both past and current (Mr. Parr features in this months Asahi Camera as a tie in with his current exhibition at the Tokyo Photography Museum), to up and coming to the general public. Though some of the newsprint is set aside for the technical aspects (i.e. detailed diagrams of the insides of new cameras) much more is actually set aside to the creation side of photography. Even if you cannot read the language the photographs (and this is what it’s all about right?) alone are well worth the admission price on a monthly basis. They provide a very vibrant and up-todate view of current photographic trends over here in Japan. Her newest book is available already. There is an option to view the website navigation in English, and the way the site works is just like the U.S. Amazon website. Is the Japanese photo book really such a big deal? I have tried to “emulate” one (http://www.unicircuits.com/?p=451 – you decide how well I did, I am not Japanese after all) and found a lot of it seems a little too arbitrary (“experimental”/”playful”?). As with all territories you have to search to find the gems. Many books in Japan are “generic” as indeed you find in the West. The prices for new books in Japan right now is quite cheap. There is also a bookshop that ships to the West and is in English that features on Ferdinand’s blog that was mentioned 10 comments up. Also always look out at schaden.com and Dashwood books in New York as Markus Schaden and David Strettell have the knack of locating exciting new books from here , there and everywhere. You will pay more than in Japan but I guess it’s cheaper than flying out there. This, by the way, is the ultimate thing to do as anyone interested in books will have over 30 stores to visit, selling both new and vintage books. Takuma Nakahira was a founding member of the hugely influential Provoke movement which also included Daido Moriyama, Nobuyoshi Araki and Shomei Tomatsu. This retrospective of his work shows two seemingly completely different styles due to the fact the Nakahira was struck suddenly with amnesia. During recovery, he moved to Yokohama and it was there he recalled his passion for photography and started a second life as a photographer. Although there is a discontinuity between the photos taken before and after his memory loss, Nakahira’s straightforward candor with his subject is consistent. 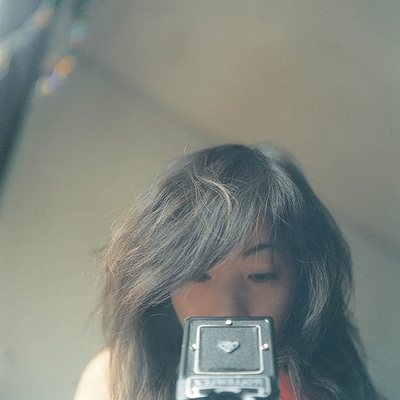 “I believe that photographiy is neither creation nor memory, but documents. The act of shooting a photograph is not something abtract. It is always concrete. No manipulation to make simple things complicated through conceptualization. Only the real I encountered through the medium of the camera is here in my photographs. You and your shapes Alec. I’ve been looking at Niagra and only just got the reoccuring heart motif that you mentioned before. And now I see it – I can see it in nearly all the pictures. Very clever! So as you’re so keen in breaking down pictures to their elemental forms would you call yourself a photographic structuralist? Alec, the other day I tried to post a comment here some links to websites of Photograpy-Book stores here in Japan, but got denied via the spam hunter software. Let me know if you’d like them sometime, in case you (or anyone else) comes to Japan. Thanks so much John. Great info. How nice to see Rinko mentioned on your blog! Her books tremendously influenced my senior thesis last year–she’s such a different square photographer. Now I wonder if my square photos have circles in them.